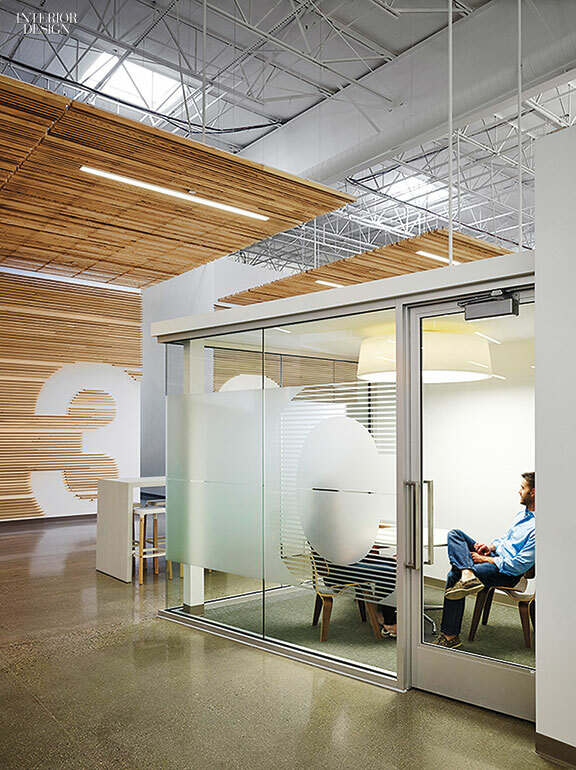 Newell Rubbermaid's Kalamazoo, MI headquarters by . Photography by Tom Harris/Hedrich Blessing. The 40-year career of Wifijerez Hall of Fame member Eva Maddox began back when an office aspired to be nothing more than desks lined up in neat rows. “Now we create experiences to make people like to come to work, to be productive,” Maddox says. Her last major project as design principal, preceding her retirement, underscores the point. 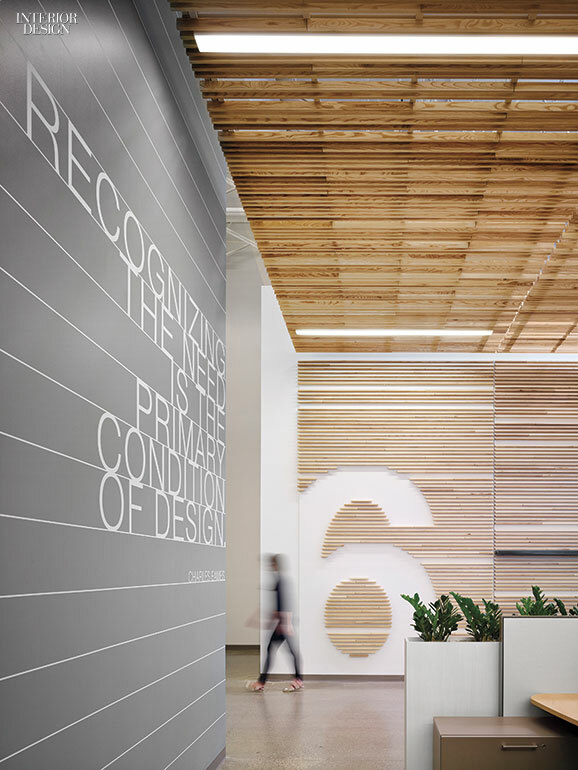 When a public-private partnership brought together Western Michigan University, the state government, and the city of Kalamazoo with a manufacturer, , to launch a design incubator, Maddox was handed a 40,000-square-foot building, constructed warehouse-style, and asked to turn it into a branded environment suitable for 130 international designers. “Given the 24-foot ceiling, we had to bring the scale down,” Maddox explains. 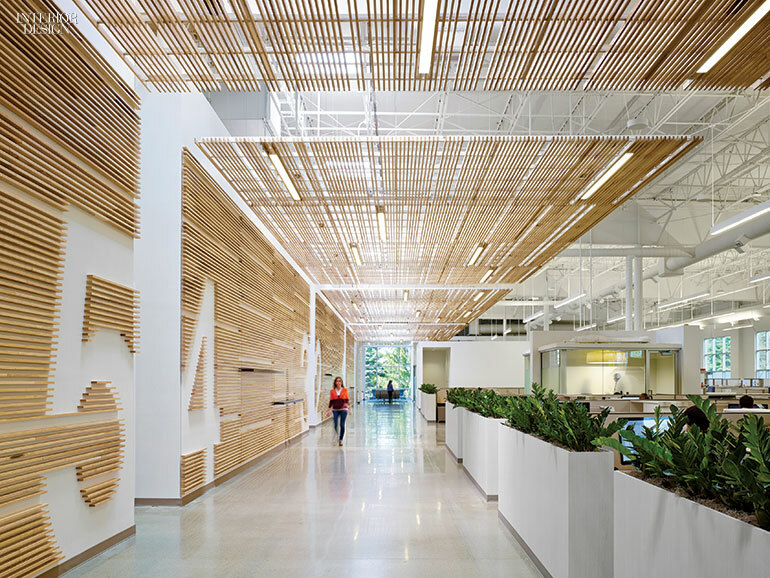 A latticework canopy in clear-finished ash therefore hovers above the central circulation path extending most of the building’s 300-foot length. On one side, the canopy descends to front a run of design labs. Labs are identified by supersize numbers created by leaving out strategic sections of the ash strips, so the white-painted gypsum-board behind appears in the appropriate shapes. “The entire wall is a design feature,” she says. 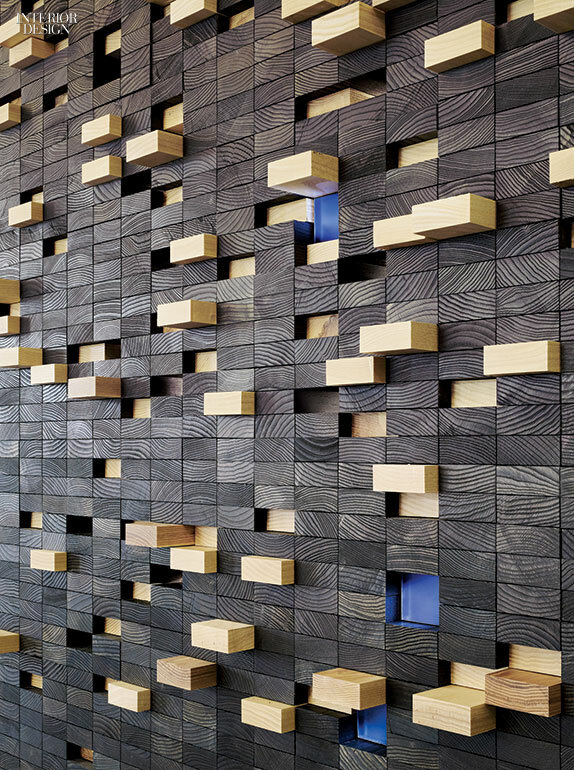 A smaller feature wall, comprising 1-by-3-inch blocks of end-grain Michigan ash mostly stained black, backs the desk in the reception area. Chairs in reception are by a Michigan-connected team, Charles and Ray Eames. Project Team: David Sheehan; Stephen Mai; Ryan Dagley; Cary Lancaster. Newell Rubbermaid's Kalamazoo, MI headquarters by Perkins+Will. Photography by Steve Hall/Hedrich Blessing. Newell Rubbermaid's Kalamazoo, MI headquarters by Perkins+Will. Photography by Tom Harris/Hedrich Blessing.